Today My Morning Jacket have released a deluxe reissue of It Still Moves (ATO). Completely remixed by Kevin Ratterman with Jim James and remastered by Bob Ludwig at Gateway Mastering, the album is available digitally, on 4 x LP 180 gram vinyl, and in a 2 CD set. The deluxe version includes frontman Jim James’ ten original demos plus three previously unreleased tracks from the original sessions with new artwork and exclusive photos. It Still Moves still stands as one of the band’s most pivotal releases, but there is an increased strength and clarity to it now. In addition to pillars of My Morning Jacket’s catalog such as “One Big Holiday” and “Golden”, the reissue is accompanied by James’ original acoustic demos of It Still Moves. This is how James still writes, getting down to the core snapshot of an idea before bringing it to the band to rework with their titanic sound. As a young band engrossed in an extensive touring schedule, Jim James always felt the album was left somewhat unfinished. When ATO approached James with the idea of reissuing the album as part of the label’s fifteenth anniversary, he took the opportunity to dig back in. In 2003 It Still Moves both expanded the band’s early style outward as far as it could go, while also grounding it. 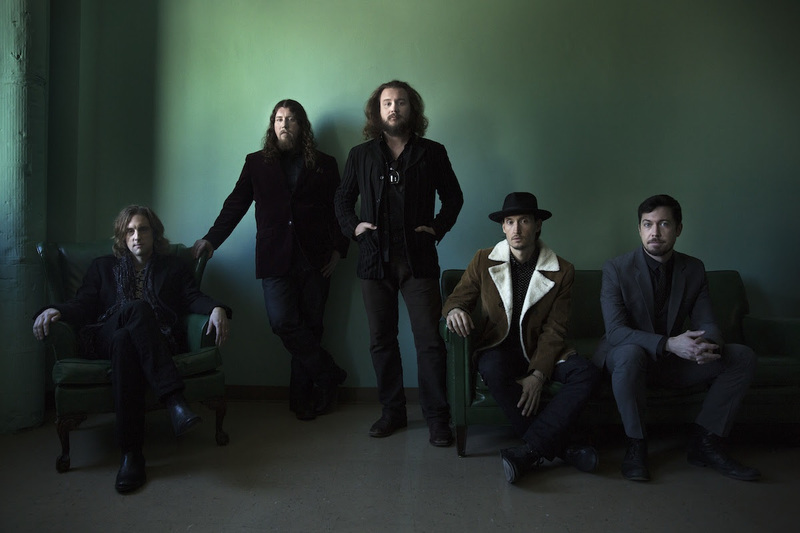 After it’s release, My Morning Jacket reconfigured themselves, with James and the unstoppable rhythm section of bassist Tom Blankenship and drummer Patrick Hallahan now joined by keyboardist Bo Koster and guitarist/multi-instrumentalist Carl Broemel. They had perfected a version of themselves, and the only way forward was to dream it up again in some new form. Everything would shift for My Morning Jacket after It Still Moves. As the conclusion to their initial trilogy of albums, it remains one of their most essential releases. My Morning Jacket are wrapping up a nationwide tour this weekend with two sold out shows at the legendary Red Rocks Amphitheater.